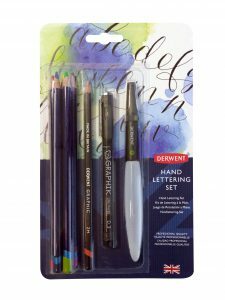 This festive period, head over to DerwentArt.com as we’ve got something for every type of creative: the landscape artist, the doodler, the disorganised, the crafter, the person whose got everything and the one person looking for a new hobby to start the new year! Below are our five top suggestions, but feel free to suggest your own or tell us what you’d like for Christmas! Well luckily we’ve combined everything (or almost everything!) in our extensive range to create two premium sets that will keep creatives busy throughout December – and well into 2019. With three limited edition sets presented in gorgeous maple wooden boxes each containing 120 pencils, we guarantee your artist friend will be impressed by the quality and variety of pencils in these boxes. Grabbing all of our dry and water-soluble media together, you can complete your Derwent Pencil selection and earn some brownie points for a thoughtful and unique gift. Our Limited Edition boxes are priced at £222.99 for our water-soluble collection and £239.99 for our Coloured Pencil Collection, and for the Derwent Limited Edition 120 Collection Wooden Box. Check out the various maple wood boxes here. Know someone who is a bit disorganised but loves to get creative? Then look no further! 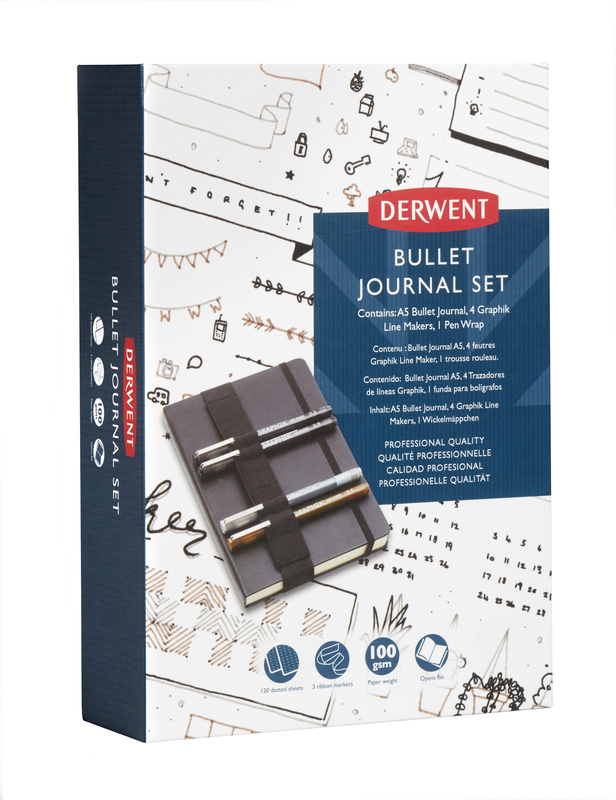 Our NEW Derwent Bullet Journal Set is the perfect tool to be both on trend and ensure that days, weeks and months are planned out in colourful crafty and creative style! Featuring a premium journal that promises to turn heads and a selection of our ever-popular Graphik Line Maker pens, planning has never been easier. Available from DerwentArt.com for £29.99. Why not design your own cards this year with our Hand-lettering Set? Explore beautiful flowing letters, bold colours and unique designs. With Inktense Pencils, a Graphik Line Maker pen, a traditional Graphic pencil and a waterbrush in a single set – the perfect Christmas stocking filler! Available from www.DerwentArt.com for £19.99. Looking for something to get you into the festive spirit? We’ve got a competition with a difference. If you’re bored of buying cards that all look the same or just want to create something that will inspire that festive cheer, then read on! For your chance to win a £300 voucher to spend on www.DerwentArt.com* (for others, but mainly yourself), simply pick up any of your Derwent Pencils and draw/craft/create/doodle/sketch a Christmas card of your own! Then log on to your Instagram, post a photo of your design along with the hashtag #xmascard, tag @derwentpencils, and don’t forget to mention the Derwent range used for your artwork (e.g. “made with Lightfast”). It’s that simple. You’ve got until the 14th December to enter and we’ll contact the winner within 24 hours of the closure. Get creative now and good luck!